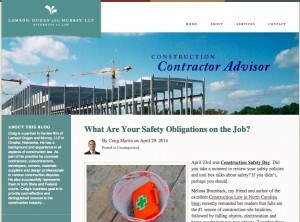 Omaha, Nebraska lawyer Craig Martin‘s Construction Contractor Advisor has been selected as the 2014 Best Construction Blog. Martin’s blog covers a diversity of topics relevant to construction law, and has been written in a manner to be relevant to the industry well beyond his home state. 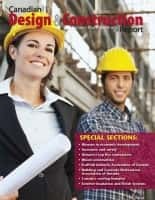 This is a very good resource for all things related to the law and construction. It is only beaten by the others because its design is less compact, and because I tend to favour a variety of topics – though there is nothing wrong with being specific. Posts are well-written and concise. Overall, the five judges ranked Construction Data Company’s Building Blocks blog second. Burgin Construction Inc. (winner in 2012) was third. Several of the judges evaluated only the top seven blogs (first page on the popular vote). Michael Stone conducted a more thorough judging of all blogs with at least 10 votes. In his evaluation, Burgin led the pack, with writer Tess Wittler in second place and the Construction Law Blog in third (the gap in Stone’s evaluation between first and third place was small.) Stone selected Construction Contractor Advisor as the top blog among those on the “first page” in voting data. Several judges also gave votes to Melissa Brumback‘s Construction Law in North Carolina blog, which has also previously won the competition. In evaluating the judge’s selections, I assigned three votes to their first place choice, two to their second and one to their third. I then added the totals to arise at the overall vote count and determine the winner. I added one vote for Construction Law Advisor for Michael Stone’s selection, even though (in his own assessment) the blog ranked fourth. If I removed this vote, the margin of difference between the CDC and Martin’s Construction Law Advisor blog would have been less, but Construction Law Advisor would still have achieved first place. The judges were given some general criteria guidelines but were free to make their own decisions. They worked independently of each other. More than 30 blogs were nominated in the competition. Some bloggers campaigned extensively, and got out the vote, with Sage Construction and Real Estate receiving the most votes. Sage came fourth in the judge’s voting. One judge considered Gould Design Inc., second place in popular vote, as the best blog. Gould won the competition in 2013. In the next few weeks I’ll interview the successful finalists and learn about their blogs to understand how they develop their content and the blog is useful in their marketing. All the bloggers deserve recognition for their initiative, and I believe many blogs that didn’t actively campaign for votes — and so didn’t make the short-list for judging — are certainly worthy of your readership and attention. Heather Kirk is a freelance writer for the Construction News and Report Group of Companies, of which I am president. Cassandra Pollack (www.crimsondesign.ca), a fellow board member of the SMPS Ontario chapter, helps AEC businesses plan, strategize, and improve their marketing efforts with a collaborative, design thinking approach. 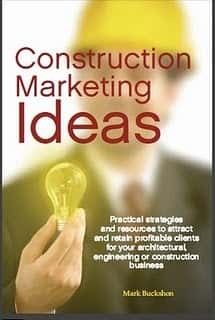 Michael Stone (markupandprofit.com) is an author and consultant who provides business management advice primarily to residential contractors. Matt Handal’s Help Everybody Everyday blog provides worthy insights — and he has written successful books and provides other resources on proposal developments. Michael Jeffries (closingsuccesssystem.com) is a marketing consultant with extensive experience serving both residential and non-residential clients. Nominations will open for the 2015 Best Construction Blog competition in December. In the meantime, if you would like your blog to be reviewed and posted in our free blog directory, please email buckshon@constructionmarketingideas.com.